This darling plastic grocery bag holder, is all about life on the farm. 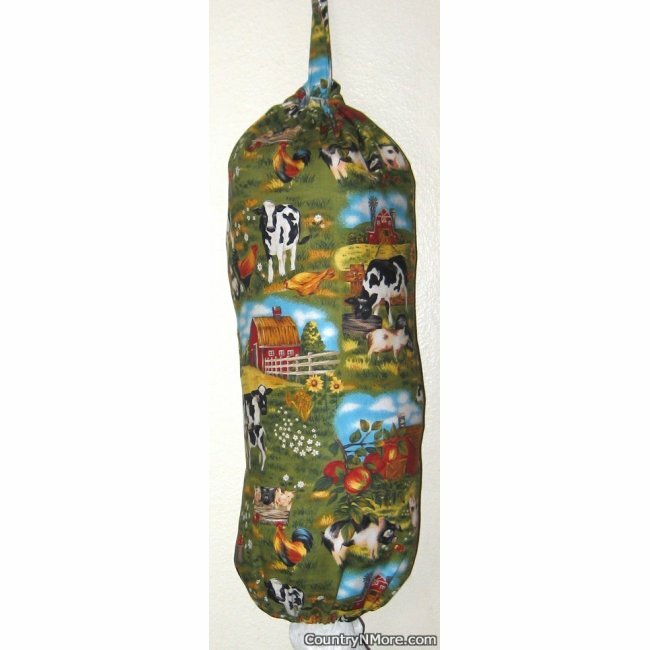 The fabric depicts cows, pigs, roosters, a barn, apples, etc. This country bag holder is perfect for hanging in your kitchen, pantry, etc. The bag measures about 18 inches long and can hold a lot of grocerybags from the supermarket or store. This measurement does not includethe fabric hanger. All of our bag holders have an opening in the bag,allowing one to easily add new bags to the bag holder.